Sleep is critical for your wellbeing in nearly every aspect of your life. Without adequate sleep, you may find yourself feeling irritable, unfocused, lacking coordination, forgetful, and feeling like you’re going about your day in a fog. When we sleep, our body gets to work repairing damage, processing information about our day and resting. Unfortunately, our 24/7 schedules seem to leave little time for restful, reparative sleep. World Sleep Day is observed on March 15th. This day of awareness was created by sleep researchers to raise public awareness about the health crisis of insufficient sleep. At Pulse TMS, we’re particularly interested in how sleep can affect your mental wellbeing. Here are some of the things we learned about sleep and mental health. Many people don’t prioritize their sleep as much as they should. It can be easy to fall into the habit of sleeping less in favor of having more awake time to accomplish tasks and handle a busy schedule. Unfortunately, burning the candle at both ends isn’t sustainable, and many people suffer burnout and chronic health conditions as a result of sleeplessness. Memory and learning: Your brain needs sleep to process information and build synaptic connections that let you recall it when you need it. Memory and learning are both negatively impacted by a lack of sleep, so you may find yourself struggling to remember or learn new things. Mood: Feeling grumpy? Your mood can be affected by sleep. If you live with depression, anxiety, or other mental illness, you may also notice your ability to regulate your symptoms is lessened. Sleep affects your ability to handle stress in healthy ways, and not getting enough shut-eye may mean that you’re not able to cope with stress well. Coordination and reactions: After just 19 hours without sleep, there is a noticeable decline in reaction times and coordination—enough that your coordination, judgment, and reaction times are similar to someone who is legally drunk. Keep that in mind next time you want to drive home after a long, long day. 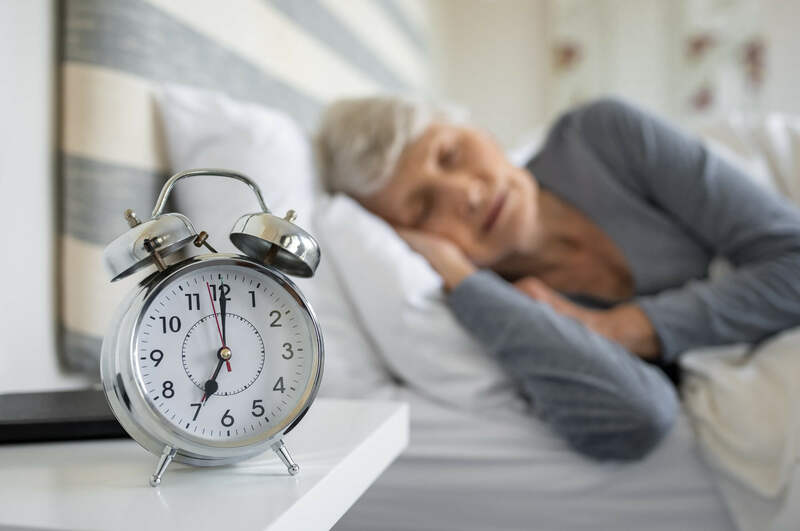 Skin health: Sleep is necessary to repair the damage your body sustains throughout the day, but it also is important to regulate cortisol, a stress hormone. Cortisol is destructive throughout your body, but its effects are particularly noticeable in your skin because cortisol breaks down collagen. This can lead to sagging, wrinkles, and dull-looking skin. Heart health: Getting less than 6 hours of sleep per night can raise your blood pressure, putting extra strain on your heart. Sleeplessness can also increase your risk of cardiovascular disease. Increased appetite: Without enough sleep, you may find yourself craving carbohydrate-laden, fat-rich foods. This is because your body needs calories to burn for energy. Your satiety hormones also can get out of sync with your body, leading to overeating and weight gain. Immune system decline: If you find that you’re getting sick often or that minor wounds aren’t healing quickly, it can be a sign that your immune system isn’t working at full power. This system is responsible for protecting your body from infections as well as regulating your healing. Without enough sleep, your immune system’s ability to heal and protect can be compromised. Is Too Much Sleep a Sign of Depression? Just as not enough sleep can be a sign of depression, oversleeping is also a sign. Known as hypersomnia, many adults and children with depression report experiencing excessive sleepiness as a symptom of depression. One study into the relationship between hypersomnia and depression found that the relationship is bidirectional, meaning that depression can worsen hypersomnia, but excessive sleepiness can also increase feelings of depression. If you find yourself oversleeping or feeling sleepy despite the amount of sleep you’ve had, it is possible that you may have a co-occurring mental health condition, such as depression. As mentioned above, excessive sleepiness may be a sign of depression. Similarly, insomnia can also be related to depression. Sleep disturbance is strongly linked with major depression, so much so that sleep troubles are often one of the most prominent symptoms of depression. Sleep is also a key factor in the quality of life. In a study on the correlation between sleep and depression, researchers found that more than half of all respondents reported that their sleep behaviors directly impacted their ability to enjoy their life. This study also found that people diagnosed with depression expressed more distress over their poor sleep quality than mentally healthy people, even when they were reporting similar sleep quality as their mentally healthy counterparts. Sleep is a critical factor for your wellbeing, but getting restful, adequate sleep can be a challenge for those living with mental illness. If you live with a mental illness, it can be difficult to feel positive about your sleep. Too much sleep may leave you feeling groggy and unproductive, while too little sleep can leave you feeling unfocused, moody, and exhausted. Finding a healthy sleep pattern can be a challenge, but the benefits of great sleep are worth it. Better memory: It can be frustrating to forget even small details, but many people living with a mental illness experience considerable losses in memory and difficulty recalling information. Adequate sleep can help boost memory and improve learning and recall. Better focus: Do you find yourself struggling to stay on task or follow a conversation? Poor attention is a symptom of many mental illnesses, and it can lead to uncomfortable social interactions, productivity challenges, and a general feeling of disconnect from the world. With better sleep, many people with mental illness discover they have a sharper focus and an easier time paying attention. Less stress: As humans, avoiding stress is an important thing to do. Stress can be destructive for our mental and physical wellbeing, especially for those who already cope with a mental illness. As mentioned above, sleep regulates your body’s production of the stress hormone cortisol. A good night’s sleep is the first step towards reducing your stress. It can be easy to feel like you’re alone in the world while living with depression, anxiety, or other mental illnesses. This couldn’t be farther from the truth, which is why our team at Pulse TMS is dedicated to helping people living with mental illness to find treatments that work for them. Treatment-resistant depression can be an incredible challenge. We can help. Pulse TMS offers transcranial magnetic stimulation treatments to help treat your depression, as well as resources to help you learn about living with depression. Find out if TMS is a treatment option for you. Schedule an appointment with our team today to learn more. Contact our offices by calling (310) 272-5026.